Features Fixed, Two Column, Black, Right Sidebar, Ads, City. 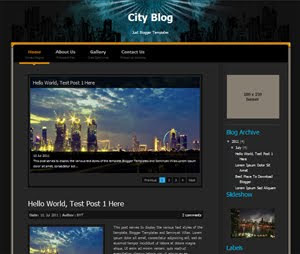 Descriptions City Blog is free blogger templates with two column, right sidebar, black background with minimalist design at header, have auto slider post, cool menu navigation and compatible on all browser is some feature for this blogger templates. how to make the slider is work???? I use City Blog.. See My Blog http://feizy-murphic.blogspot.com , and tell me what's wrong with my blog!